Why Visit An Event Taking Place In…Singapore? Home>All News>Why Visit An Event Taking Place In…Singapore? Singapore is much more than meets the eye. It’s constantly evolving, reinventing, and reimagining itself, with people who are passionate about creating new possibilities. It’s where progressors, foodies, explorers, collectors, action seekers, culture shapers, and socialisers meet, and where new experiences are created every day.
" 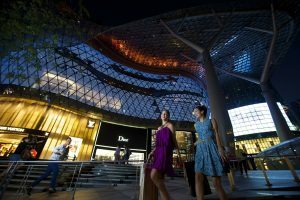 Whether you're a nature lover, culture buff or thrill-seeker, Singapore has a wide selection of leisure options, all within easy reach.	" Singapore is fuelled by passion and pride. Around every corner, incredible experiences are being crafted, cooked, painted, designed, grown or built by locals who share a common trait: passion. The story of Singapore is one of trials, tribulations and triumphs. In a short span of just over 50 years, it has evolved from a colony to a city-state with its own unique identity, forged by a spirit of never settling. And it’s this spirit that’s imbued into the architectural wonders, lush parks, proud heritage, world-class attractions and amazing food of the cosmopolitan metropolis you see today. 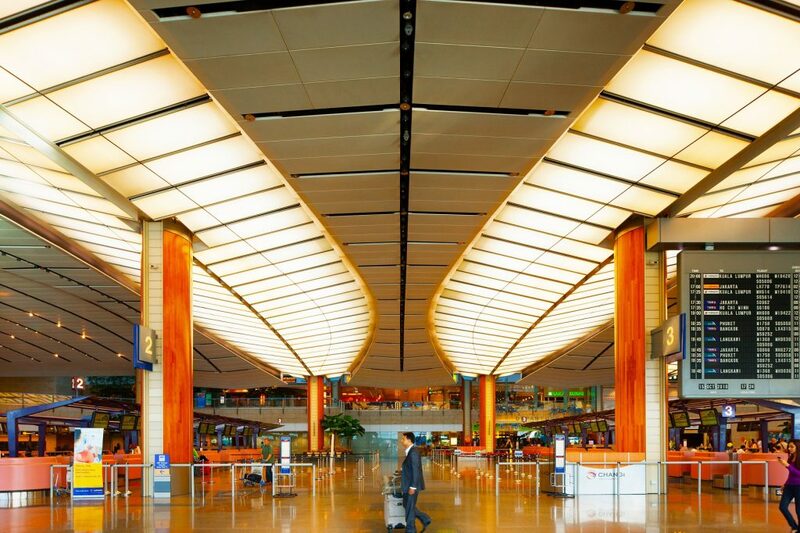 Singapore’s Changi Airport is one of the busiest and best connected in the world, handling over 100 airlines flying to some 400 cities. The award-winning airport itself is jam-packed with activities and amenities, making it a world-class attraction in its own right. Once in Singapore, the public transport system is fast and efficient and will whizz you to memorable attractions without fuss. Singapore’s bus system has an extensive network of routes covering most places and is the most economical way to get around, as well as being one of the most scenic. Taxis are comfortable and especially handy if you want to go to places not accessible by the bus or MRT. They are metered, but there may be surcharges depending on when, where and which company’s taxi you board. From luxurious stays to charming boutique accommodations, there’s a bed in the city made just for you. Whether you’re a nature lover, culture buff or thrill-seeker, Singapore has a wide selection of leisure options, all within easy reach. Save some tummy space for the long and diverse list of must-tries―from lip-smacking dishes by time-tested hawker heroes to scrumptious creations by award-winning homegrown chefs. Treat yourself to delicacies at Michelin-starred restaurants. Every meal is a chance to indulge in something different, in new atmospheres, and new ways. Whether it’s riding a roller coaster or skydiving indoors, there’s no shortage of fun activities to experience in Singapore. Certainly, there’s no better way to capture the beauty of a city than to take a panoramic shot of it from up above or a clear, unobstructed spot—that should do the place justice. Whether you’re in town, by the waterfront, or surrounded by nature, there’s always a vantage point worth checking out in Singapore. 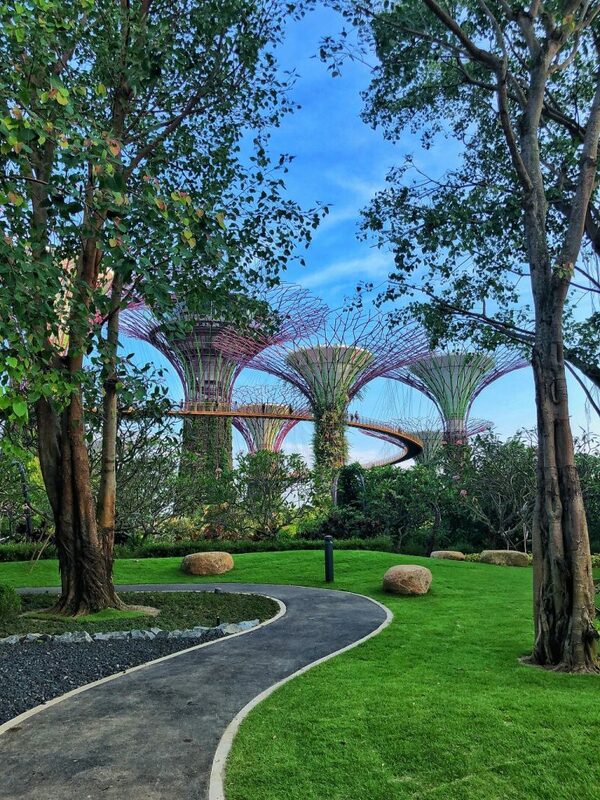 If you want to make a quick getaway to some serious greenery, the Gardens by the Bay, a five-minute walk from the central business district, is your go-to spot. A highlight of this 101-ha. horticultural park is its two conservatories, the Cloud Forest and the Flower Dome. The cool-moist conservatory that is the Cloud Forest features a 35m-tall mountain covered in plants such as orchids and also sports the world’s tallest indoor waterfall. Meanwhile, the Flower Dome replicates a cool-dry climate and houses plants from the Mediterranean region as well as a Flower Field, where the displays change regularly. 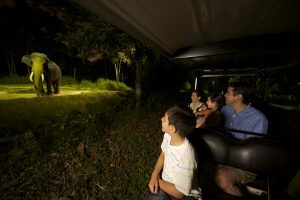 With its gleaming skyscrapers and bustling business district, Singapore may not strike you at first as a giant playground for the little ones – but all it takes is a keen sense of fun and adventure over one long weekend to uncover the many exciting experiences that await all kids and kids-at-heart. 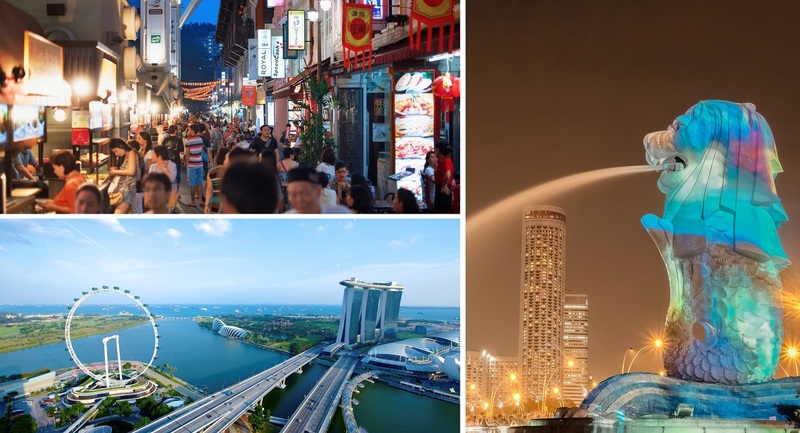 Drop by one of the centres in the city’s downtown to get more information about Singapore, purchase tickets to attractions and tours or pick up a souvenir. For more information on Singapore, see VisitSingapore.com for more resources and ideas.